Seckar Wood Nature Reserve01924 860280work Nature ReserveHead south out of Wakefield and you’ll soon come across the ancient Seckar Wood Nature Reserve. For over 300 years Seckar Wood was part of the Wentworth estate until it was purchased by local photographer Warner Gothard in 1923. Visiting in spring? You’ll see a carpet of bluebells covering the woodland floor. Return in summer and marvel as the heathland is transformed into a sea of purple with the Heather flowers. The diverse amount of plants found at the reserve has resulted in Seckar Wood becoming a designated special site of scientific interest. Have a peaceful stroll around the heathland and woodland stopping often to get a glimpse of the wildlife that calls Seckar Wood their home. Make sure you take a look at the walled pond near the centre of the reserve; it used to be a swimming pool in the 1930’s! 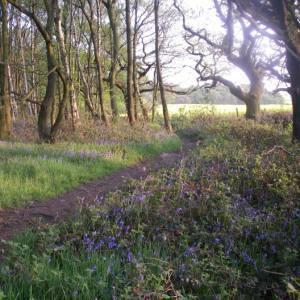 Head south out of Wakefield and you’ll soon come across the ancient Seckar Wood Nature Reserve. Please note, cycling is only allowed on the main path. Free parking is available off Seckar Lane. Off the A61Barnsley Road, Seckar Lane next to Woolly Park Golf Club.